This has been a pretty long journey. 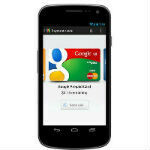 So, if you remember, back when Google launched Google Wallet, it had prepaid card support. The prepaid cards turned out to be something of a security threat, so Google removed support, offered $5 of "we're sorry" money to users, and promised refunds. Well, it looks like those refunds could finally be on their way. So, plenty of people filed for refunds on unused prepaid card funds, but never really heard anything about those refunds. 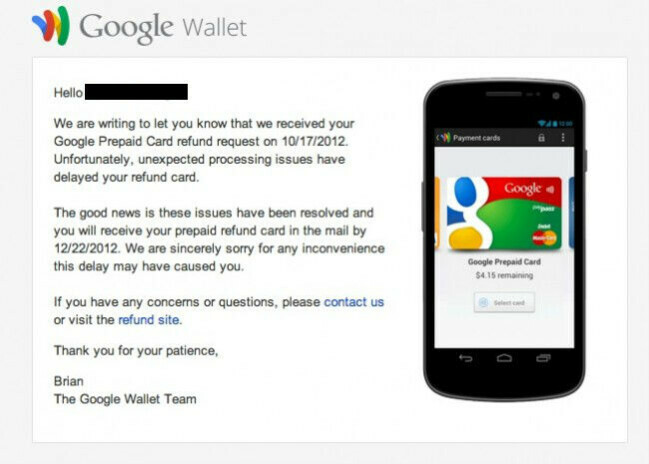 Now, users have started getting e-mails from Google which say that there should be a check in the mail for the refund around December 22nd. Has anyone gotten one of these messages? If so, is December 22nd the standard date given? We'll check through a bit more, but it looks like refunds could be on the way. Just got mine a half hour ago. Same delivery date though. I received an email apologizing for the delay and mine will arrive in about 7 days. Thanks, GOOGLE!! I had about a hundred dollars in there... Can I have it yet?